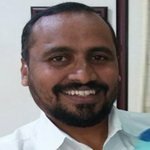 Mr Kishore Kumar is a serial entrepreneur who brings in 20 years of experience in microfinance, commercial development, investment banking, rural development, and extensive knowledge of the Indian microenterprise market to the team. Previously, he founded Trident Microfin Pvt Limited. Trident Microfin Pvt Limited was a Non Banking Financial Corporation engaged in microfinance activity. Under his leadership, Pradakshana has achieved its milestones towards success much sooner than anticipated. His focus on purpose and clarity of thought has been valuable contributing factors to the company’s growth.